Love Your Appliance - The day we didn't have Turkey! Nowadays I have my own fabulous Beesley Brothers to make sure we have lots of Christmas treats baked on Christmas day! When we saw this fab blogger competition over on Tots100 with PartSelect to share our favourite domestic appliance story, it was actually really hard to choose which to share. I never thought I'd have ANY particularly interesting appliance stories but it turns out there were several lurking in my memory. In the end it was a toss up between the "Fridge that wouldn't Fit" and "The Day we didn't have Turkey!" Well with it being so close to December and everyone starting to get the festive feel, combined with the moral of the story being that a solution from PartSelect would quite possibly have saved the day, we have gone with "The Day we Didn't have Turkey!". Of course, I'm not just talking about any day, I'm talking about the day that it most matters to have turkey. Christmas day of course! I was living at home with my mum. My brother had moved out and we knew we wouldn't get to see him over Christmas so mum was already miserable about that. A few days before Christmas we found the cooker had become rather temperamental. Every time we turned it on, it would work for a while and then turn off. Then we found some days it would work, others it wouldn't. But as it was getting so close to Christmas at that point, the electricians were all charging a fortune for call outs so mum decided to risk it and leave it until after Christmas to call the electrician. Come Christmas day we were very much hoping that the cooker would be in a good mood and play ball, but alas it wasn't to be. We resigned ourselves to the fact that we would not be having turkey that day. Then mum suddenly perks up and cheerfully announces that as the microwave is working we can have some soup! Sorry but soup on Christmas day just doesn't cut it for me. It is the one time of year that I really look forward to having Roast Turkey. Microwaved soup just isn't the same I'm afraid. Christmas passes and the electrician visits. Turns out it was just one of the hob parts that was faulty. He replaces it in minutes and then the whole cooker, oven and all starts working again. Once repaired our trusty cooker carried on working many more years and didn't let us down again. If only PartSelect had existed that cold, dark, Turkey-less Christmas. Then perhaps we would not have been turkey-less after all. When T was born 19 and a half months ago, both boys were being home-schooled (and that was pretty much a full time job) so we knew it may well be a bit of a juggling act fitting a new baby into that. For that reason, I didn't have high hopes about breastfeeding for very long. I didn't have any kind of timeframe in mind beyond the first few weeks. 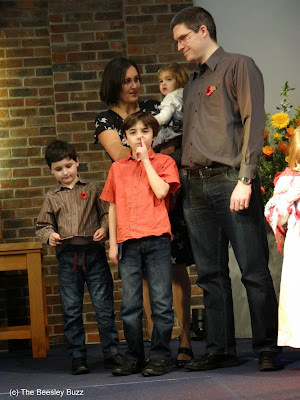 I was prepared to switch to bottle at any point that we needed to in order to keep the household ticking over and making sure J and D's routines were not disrupted. I had breastfed J and D until around 10 months, but imagined stopping a lot sooner with Miss T. But once again I found it proved easier to be able to just have the milk supply at the ready rather than having to be super organised and prepared with formula and bottles. So a few weeks turned into a few months and we carried on. I didn't take the ability to breastfeed for granted at any point as I've mentioned before. Even with Miss T, because I had gestational diabetes during pregnancy, when she was born, they needed to top up her feeds with formula for the first 24 hours and so again, I realised that it was a privilege to be able to breastfeed her and not to be taken for granted. Before we knew it we got to a year. At around a year, lots of biting meant I questioned whether to carry on. But being able to read blogs with other peoples experiences and being encouraged by sources of support like Boobiemilk's Breastfeeding in England blog, we managed to get through that phase of biting and carry on. Now T is over 19 months old. For the past 4 days she's missed her morning feed. (She had cut down to just a morning and evening feed since around a year). It happened by accident the first day as she woke up late and we had to rush out to get D to school in time. Then we missed the second day as she didn't ask for 'milk' and then I wondered if we could miss another day. So I think we have dropped the morning feed. But she is still feeding in the evening. Now I'm questioning whether it is time to stop? Is there any benefit to either of us carrying on just the evening feed? It may be coincidence or it may be down to breastfeeding that she has not had nearly as many bugs or illnesses as the boys had by this age and that makes me want to carry on. But at the same time, I am beginning to want to get back to being totally myself too. So I'm left with this: To feed or not to feed, that is the question. Mich over at Mummy from the Heart has just started a new blog hop called My Picture: His Words. I knew I wanted to join in with this as I have been desperately trying to take tiny little steps to re-build my faith. Over the past year, I have found my faith hanging by a thread and finding myself asking the questions that my non-Christian friends used to ask me. Despite two sets of counselling to tackle Post-natal depression, both led to the issue being a loss of faith being part of the underlying cause. So Sunday morning, I woke up and I was expectant. I trusted God to provide the opportunity for a photo and to speak to me through it. In an attempt to ward off any colds this week, I have been squeezing juice from oranges to have for breakfast. And I just felt that God highlighted how we can choose to go for freshly squeezed juice from Him, or we can settle for the alternatives. For either the shop bought not-from-concentrate juice that is pretty similar to freshly squeezed juice but still not quite the same, or even the concentrated long-life type cartons which actually taste nothing like freshly squeezed orange juice. I felt the relevance to be not just about praying but also for teaching. Even if you go to a really great church with great teaching, it is still not quite the same and going straight to God yourself or reading the bible yourself. And God wants to give us that fresh juice every day directly from Him. Not by relying on others faith or teaching or praying but by going straight to God ourselves. For the past year or so my faith has consisted of long-life carton juice that has been sitting at the back of the shelf, nothing like the real thing, but I know God wants more than that for me. He wants me to have the very best freshly squeezed juice daily and that can only come direct from the source - from Him. This is my child and if I don't stand up for him, who will? When we joined in the Mumsnet #This is my child linky in August, I tried to show the positive side of Autism. The fact that J is not his diagnosis. He is a child first and foremost and he also happens to have ASD. He is unique in his own right and he has so many amazing positive qualities. And with the right support, encouragement and environment he can achieve so much. In his case, that environment was home-school when it came to his education. Each Thursday, J attends a special needs drama group. They have an amazing drama teacher who is really experienced at knowing how to get things right for children like J. He comes out of that group encouraged, enthused, positive and passionate. Whilst he is in there, us parents wait in the staff room (it takes place in a school hall that the drama club hire). And each week I hear the stories of the other children like J who have been let down by their schools and it makes me cross. It was hard enough battling our way through the education system desperately trying to find a way for J to have his needs met by his schools. It would be great if it was ONLY us. That our case was unique. That there had just been a huge failure in J's case and that it didn't happen to anyone else. But sadly, time and time again, I hear of so many other children going through the same thing. Of schools getting it wrong, of budgets being put before children, of statements being wrongly refused, of parents so weary of fighting for their child that they are left needing help themselves. And it's not right. I would love to say to them to quit school and home-school instead. By taking J out of the system we found our stress levels reduce greatly as the educational battles were gone. We still had the day to day issues to tackle because of J's ASD but we found we had the strength and energy to cope with those once school was out of the equation. But I know it was a hard decision to make. To go from everything 'known' to us and accepted as normal, to doing something totally new to us and, despite the growing numbers of home-educated children, what is still largely considered to be 'different' or 'alternative'. And I know that not everyone is it a position to be able to home-school. I had to give up my part-time job to be able to home-school and we were fortunate to be able to do that. I know of many others who would like to but can't. I also know of those who won't. They (quite rightly) believe that their child has a right to have their needs met within the education system and they are going to keep on battling towards making that happen, no matter what it takes. None of these parents are moaners or whingers. They get on with life in often difficult circumstances. They do not choose to complain. All they want is for their child's educational needs to be met. They are not asking for anything over and above what their child has a legal right to. And yet time and time again, it is the parents that are blamed, accused, and casted as the villains making life difficult for the schools. Yet all they are doing is trying to stand up for their child. And if they don't, who will? D has been asked to review an amazing new product which is designed by you and then printed on a 3D printer! How cool is that? We think this is such a unique and creative gift idea - it would really make someones day to get a Makies Doll for Christmas! When the actual doll arrives, I'll be doing another video, so you can see how it turned out! You can find out more about Makie dolls here. Disclosure: I was sent the Makies doll gift box worth £69 to design my own Makies doll for the purposes of review. I paid an additional fee for postage. All opinions are my own. Our three little monsters visit Moshi Monsters. We were sooooo very excited to be attending a Moshi Monsters blogger event at Moshi HQ, not least because we had not yet had the chance to visit their new offices in London since they moved out of their Shoreditch offices. We had heard all about the slide to get from one floor to another and were desperate to try it out. The very first thing that caught our eye was the wall of Moshlings that you see when you step out of the lift. I honestly think that my boys would happily have spent the whole day just looking at these Moshlings - spotting the ones they already have, the ones they want and the ultra rare ones and gold ones and so on. The kids made themselves comfy on the Glump beanbags and watched the trailer for the Moshi film that is coming out in December. We also enjoyed cake. These amazing Moshling cakes proved irresistible and my diet just flew out the window. With all the excitement of seeing the new offices (Moshi offices are truly like no other offices with their dream room meeting rooms and tree house and of course the slide), we almost forgot the main reason we were there - to look at some of the goodies that are available in the run up to Christmas. The Mind Candy Moshi HQ offices are like no other - complete with Tree House! We were pleased to see J and D enjoying the new Katsuma Unleashed DS game (as I have a feeling one might be coming their way in time for Christmas). Other favourite items were the Moshipedia book, the 2014 Annual, and the Moshling Mall. Moshling Mall (RRP £49.99) is already on the wishlist! J has had the Moshling Mall listed on his Christmas list but as mummy and daddy have already bought some of his Christmas presents we said no. Granny and Grandad have also bought some of his presents too so they said no. So he's now going to be counting on Santa to bring him one I guess. And no Moshi event would be complete without Moshi tattoos... Miss T even got in on the act getting a Poppet tattoo to match her Poppet dress. Moshi tattoos seem to be more widely available which is great news for my kids who just can't get enough of them! Packs of 8 - RRP £1 - great stocking fillers! I wonder if Miss T got a feeling of Deja-Vu being around the Pirate Pong bean bag? Miss T in her Pirate Pong hat aged 1 day old! A big thank you to Moshi and their representatives for a great day out - thank you!!! Disclosure: As Official Moshi Bloggers we were invited to this blogger event at Moshi HQ. The children were given a goody bag as a thank you for participating. No payment was received for this post and all opinions are our own. The RRP information was provided to us but as always please check current prices yourself at time of purchase! Mr Grunt has to deliver a POGI to a Mrs Bayliss at a certain time. She lives on an Island. Other people want the POGI. They stop by Speedy McGinty's house to get some maps and charts to help them get to the island. Will they deliver the POGI on time? What does POGI stand for? I give this book 10 out of 10! Mum says: I can't wait to read this book myself. J certainly enjoyed it and I'm sure both Ardagh and Scheffler fans will enjoy it with all the crazy characters and interesting adventures they get up to. Review by J, aged 9. Vulgar's new teacher is called Otto the Bone-Cruncher and he's a proper Viking! Otto is big and he headbutts giants. Otto teaches them how to light fires. They go on a school trip up a hill to go camping. They have slugs for food. They start to feel scared. They can hear trolls in the hills. Will they find the trolls? Will the trolls get them? Will they get killed by something else? Will they survive this school trip? I give this book 9 out of 10. We made a recent discovery the other day after visiting a McD's drive thru and mummy having to distribute chips in the car to the kids. J and D kept calling out 'chip please' when they needed another chip and Miss T started to copy. So what do you think? Does it sound like Fat B*tch to you too? Thankfully her brothers hear it as 'fat face' which is somewhat better. Today, T turned 19 months old. Here's the monthly update of how she's getting on. Oppy and Pah (Hoppy and Patch) now have a new collective name. 'Patch' can be said clearly now complete with the 'tch' sound at the end but both Hoppy and Patch seem to now be called Patch. When T wants them both she will call out for Patch. Patch seems to be the name for each of them, and for the two cuddly toys together too! All three of them are inseperable (T, hoppy and Patch) going everywhere together. I am so glad that we did invest in spares from Safedreams as it does make it easier for when they need a wash.
Talking of having a wash, she seems to have mastered the word 'bath' wheareas previously it was 'pla' 'pla' (splash splash) for both swimming and bathtime. In the past month she has also learnt how to blow kisses and says 'no no no' when she doesn't want something and shakes her head at the same time. She has learnt the word spoon and car. On fireworks night we took her out to see the fireworks. Our usual tradition seems to involve sitting in the car up a hill to get a good view of the fireworks but without the busyness and noise that J can struggle with. She enjoyed watching them and learnt to say 'boom'. When we asked her if she liked the noisy fireworks or the pretty fireworks she would say 'boom' for noisy and 'babish' for pretty. Whenever we say the word pretty (even if it is to comment on something totally unrelated to fireworks) she says 'boom' and 'babish'. Here she is saying pretty / babish! She has also learnt how to turn the keyboard on herself and play music which she regularly likes to do. She was also dedicated yesterday and seemed to enjoy her special day.